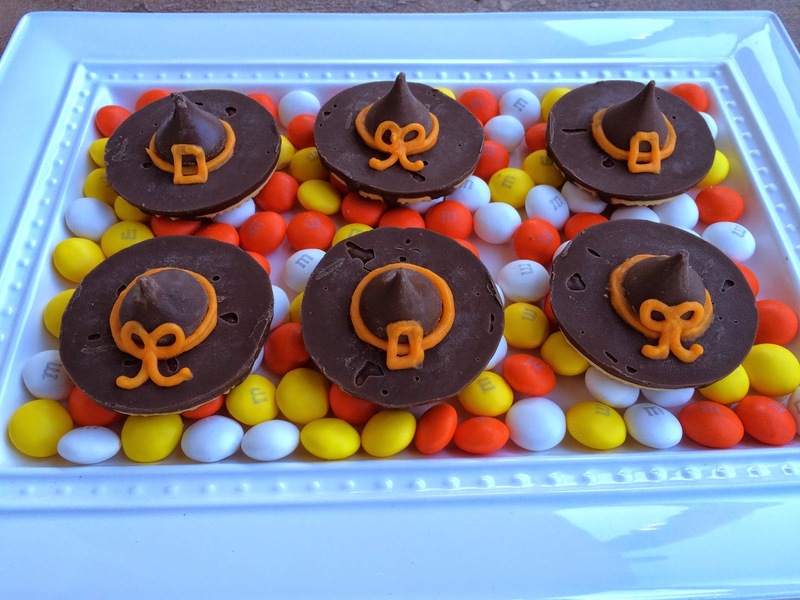 After bringing some of these home from a party this weekend, Lucy decided she really wanted to take these to her preschool Halloween party today. I was happy to not have to cook anything. 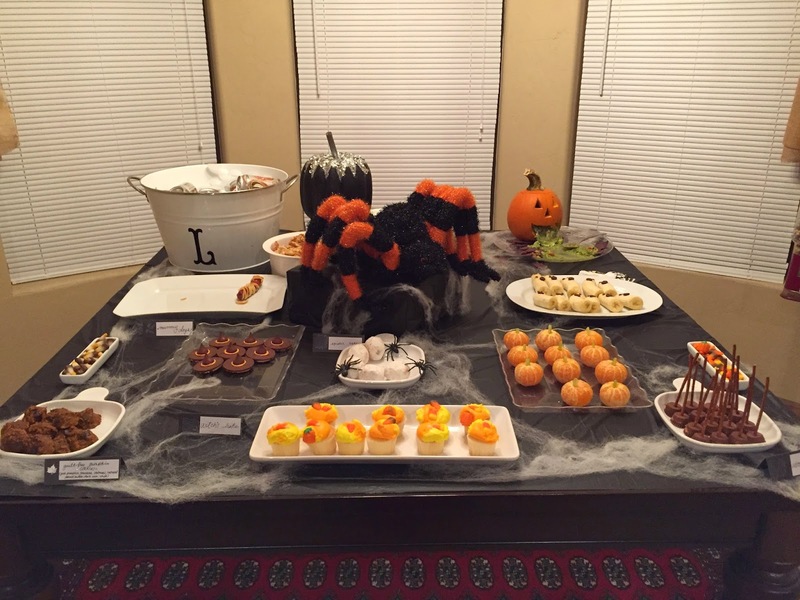 Here is a picture from the party I attended. You can see the hats and brooms. 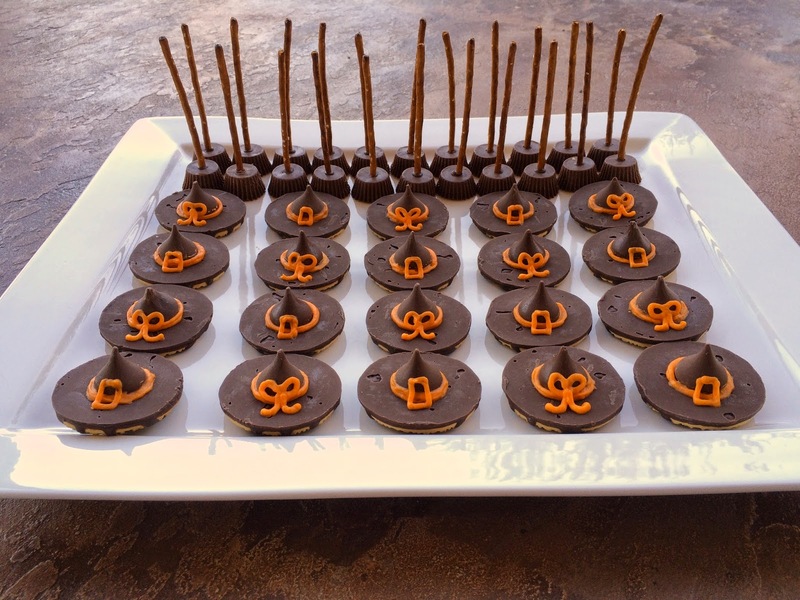 She also served mummy dogs, ghost bananas, orange pumpkins, cupcakes, and guacamole coming out of a jack o' lantern's mouth. 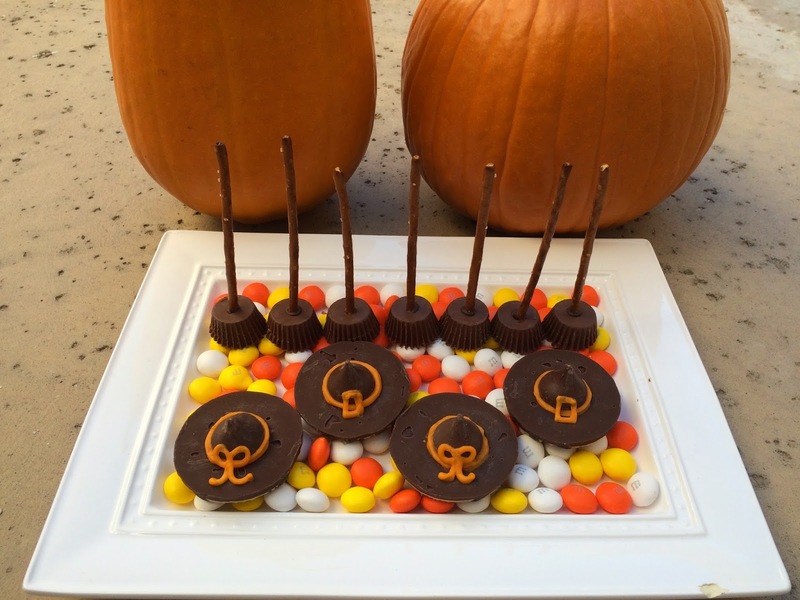 What a fun spread! 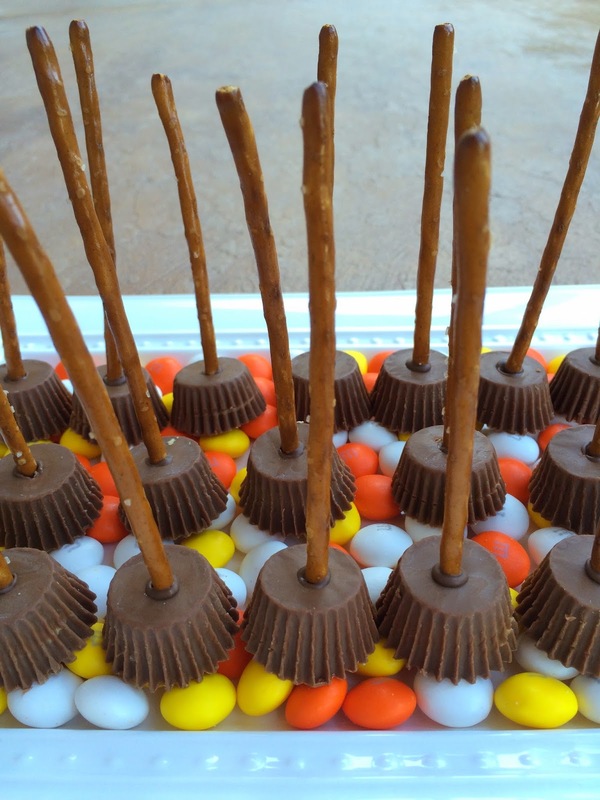 Here are the witch brooms and they are super easy to make. 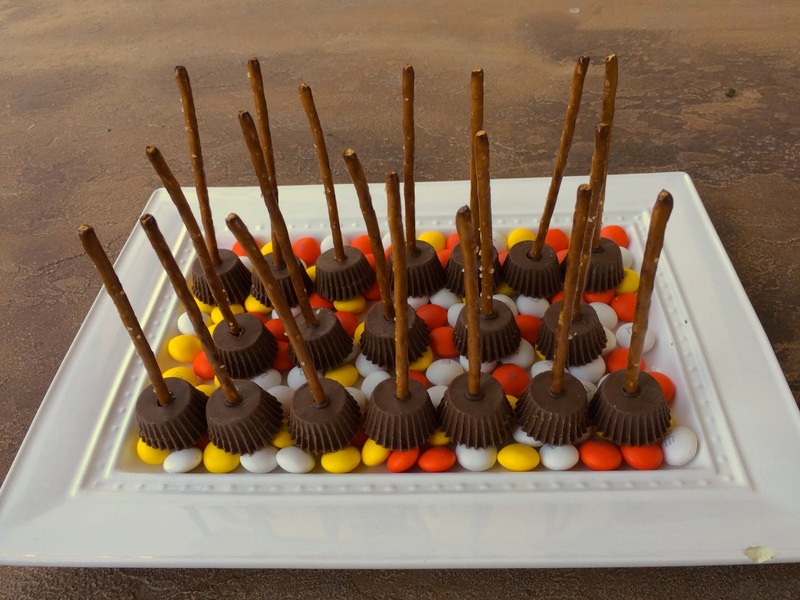 We used long pretzel sticks (thanks Courtney) that were found at Big Lots and mini Reese's. 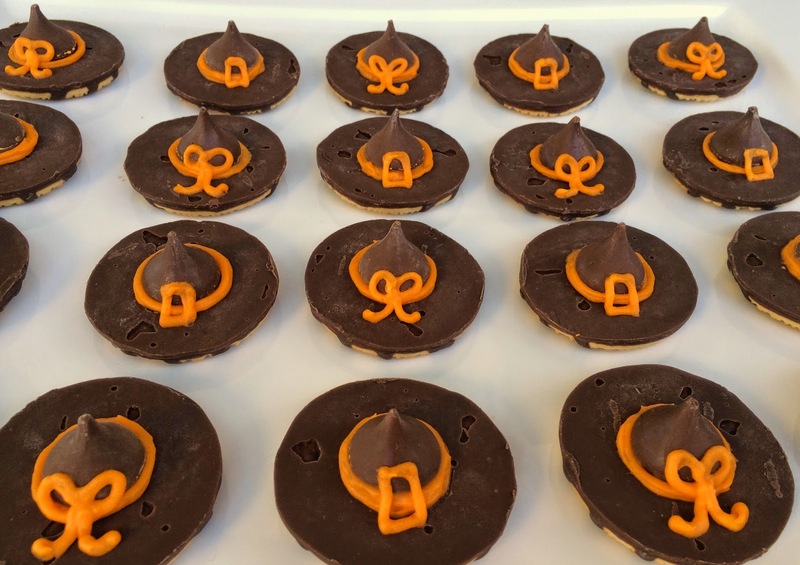 I took a sharp knife to create a small hole in the Reeses and then dipped the end of my pretzel into melted milk chocolate and gently put it through the Reese's about halfway. Be careful not to go to deep. *I think I gave up with the knife about halfway through and was just really careful putting the pretzel through. I broke some pretzels but it was worth it. 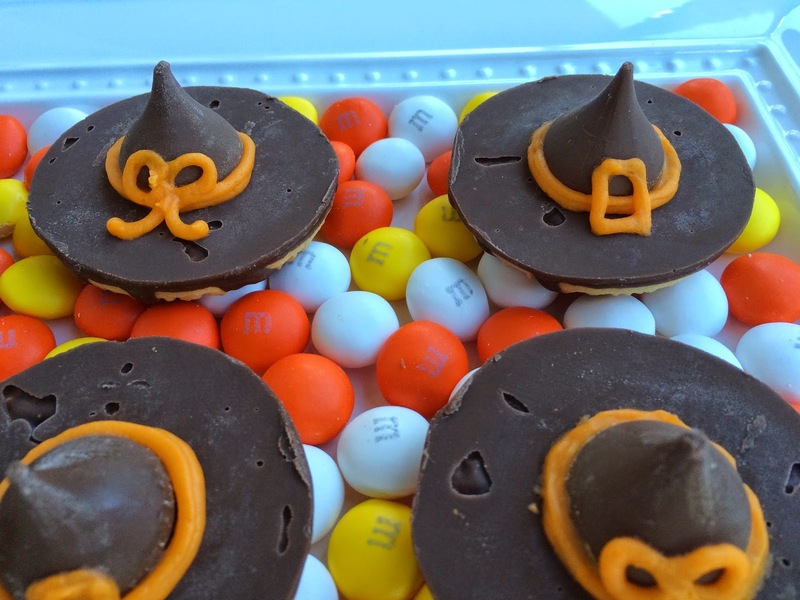 Witch hats-fudge striped cookies, Hershey's kisses and orange frosting. I attached the kiss to the cookie using melted milk chocolate or almond bark. 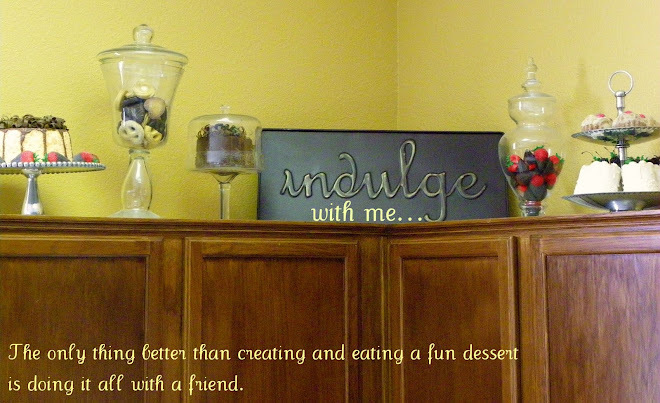 I piped on the brim and buckle or bow using orange frosting. Easy peasy! This is how we took them to her party. 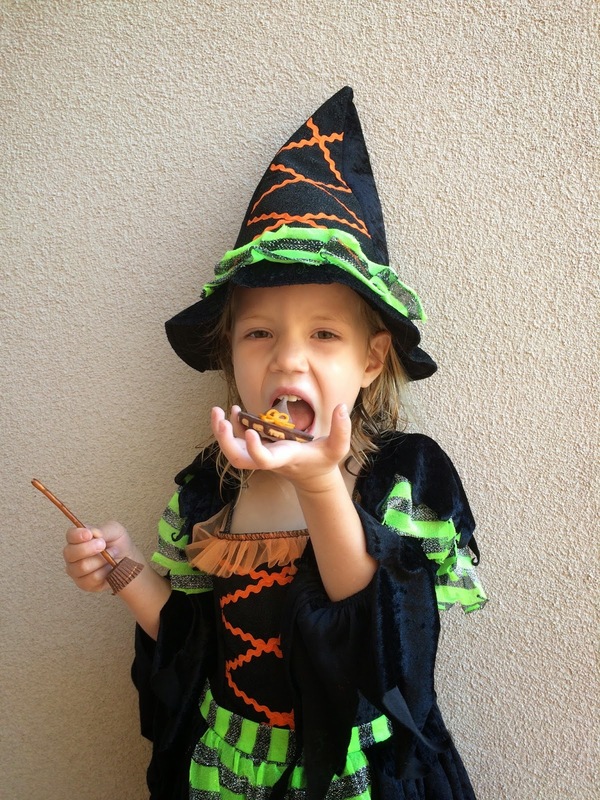 Here's my cute little witch eating her witch treats. Yummy! Love this happy witch!